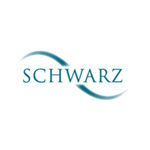 We have been providing retinal phtography at Schwarz for about 9 years. This has proved an invaluable tool in detecting eye disease and monitoring changes to the back of the ye, including macula degeneration, glaucoma and diabetic eye disease. Ocular Coherence Tomography, or OCT, represents a step change in our abilitry to screen for early eye disease and more accurately recognise changes over time.